I am excited to announce that Rhys and I bought our forever home. It’s a lovely traditional style house built in 1964. I promise I will post some pictures soon once we’ve got all of our boxes unpacked and our art on the walls. My mom wanted to visit us to see the house in person and any reason for me is a good reason for a visit. Serendipitously, my mom was able to fly in from New York to Tulsa the same weekend as the 100 Mile Yard Sale in Oklahoma. I was ecstatic. I learned about the 100 mile yard sale last year on one of Rhys’ Route 66 road trips and had earmarked it to check out this year. I wasn’t sure what to expect but we planned the weekend out well. My mom and I rented a cargo van, packed the cab with our favorite road trip snacks, hand wipes, water, and a few of our garage sale must-haves (basic tools, a notebook and pen, measuring tape, bubble wrap, boxes, plastic bags, a checkbook, and cash). All that was left was to pick up our first map and be on our way. I loved that the maps were printed in the local newspapers. I was happy to pay my 75 cents and be able to cross off garage sales as we went. On the first day, we had an ambitious plan…to cover half of the towns on the route. Our eyes were bigger than our stomachs so to speak. We took our time and the day flew by and before we knew it, it was evening and we only made it to 2 towns–Sand Springs and Cleveland. We found a lot of “littles” and a couple pieces of furniture for the new house: a set of vintage metal ice cream chairs and a sewing desk for my studio. My mom was over the moon because we’d only paid $4 for both chairs. They need a little TLC but are otherwise in crackerjack shape. Day Two of the 100 Mile Yard Sale was much more exciting. We got up really early and drove out to Pawnee where we started our day. Pawnee was by far our favorite stop on the 100 mile yard sale. It’s where I’ll begin every year from now on. Everyone was friendly and in a good mood. With the Oklahoma Steam Show in town and the yard sale going on, everyone was full of pride and their beautiful town square was bustling with energy and visitors. At the sidewalk sale outside Red Door Antiques (a fantastic little antique mall if you are in the area), I found a set of pineapple dishes. They are fabulous and summery. My mom pulled a prank on me, when I went to put some of her purchases in the van, she purchased the dishes and when I came back I was crestfallen thinking that they had sold to someone else. She played it up like she didn’t see who bought them…and I later found out that she did. In Pawnee, we lucked upon a whole box of antique German mercury glass Christmas ornaments, some costume jewelry pieces, a few books, sewing notions–a favorite material of mine, silver thimbles, and some sweaters to upcycle into mittens. We also found a beat up curio cabinet. The rehab has already begun and I promise a much-longer post on it later. We stopped in at Click’s for a bite to eat before heading down to road to Yale and Oilton where we found a cheesy record collection titled “Mood Dining” which was too tempting to pass up. My favorite find of the whole weekend was this little picnic red and white gingham pouch filled with an old recipe for shortbread and these 3 handmade cookie stamps. The recipe card was well worn from being folded & unfolded so many times–a testament to how loved it was. I can’t wait to bake a batch of these cookies and stamp them with lots of love. No doubt I will be folding and unfolding this recipe for many years to come. More than anything I found, what I’ll treasure most is a weekend of memories made with my mom. We rode in the car singing loudly to the Golden Oldies, rummaged through house after house for treasures, and talked endlessly about our future shop together. I am lucky to have such an inspiring, creative, kind and goofy mom. She’s my best friend and my role model. Happy Mother’s Day! Having a Halloween party? Want to Steampunk it up? Here are a few ideas that won’t break your wallet (gotta have money for all that candy right?)! Jars of candy are a given for any Halloween party–to add just a touch of mystery & oddness you can attach labels like the one below from VectoriaDesigns. They are much classier than your average Halloween labels, indicating the jar’s contents are brains, zombie boogers, blood, etc. VectoriaDesign’s labels, for instance, help set a Steampunk/Sci-Fi mood with labels like: Anti-Time Tablets, Steam Engine Oil, Octopus Ink, and my favorite Time Traveler Pills to name a few. Aside from digital downloads, hit your local flea markets, garage sales, and estate sales for old jars & bottles. You can fill these bottles & jars with an assortment of items to fit the mood of your party. Inkling for a bit of twisted romance, dry some red roses beforehand and place them in your jars for a pretty bit of decay to display or paint them black (how very Alice in Wonderland of you to do so!). Want your party to look like a Mad Scientists Laboratory, fill those jars up with an assortment of colored liquids & place glow sticks inside so that they give off an eerie luminescence. 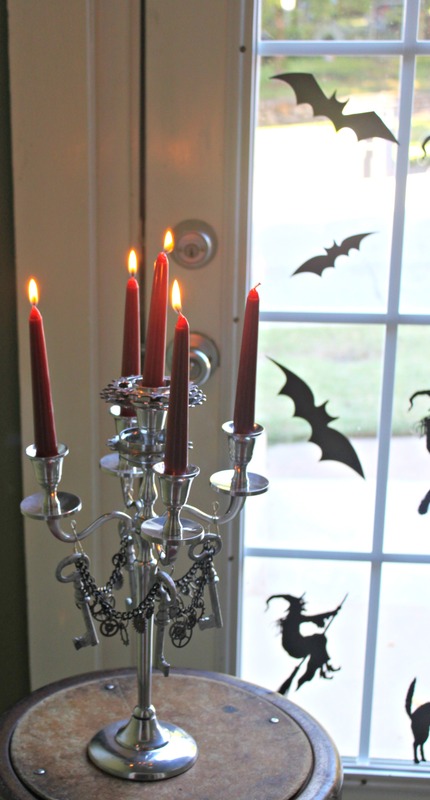 There’s also my DIY on steampunk candles–they’re perfect for a Hallow’s Eve Bash! You can suspend them from the ceiling to give your party-goers the feeling that they are on an airship deck among the clouds–you can even make clouds! Click here to find out how! A fun DIY for Halloween! 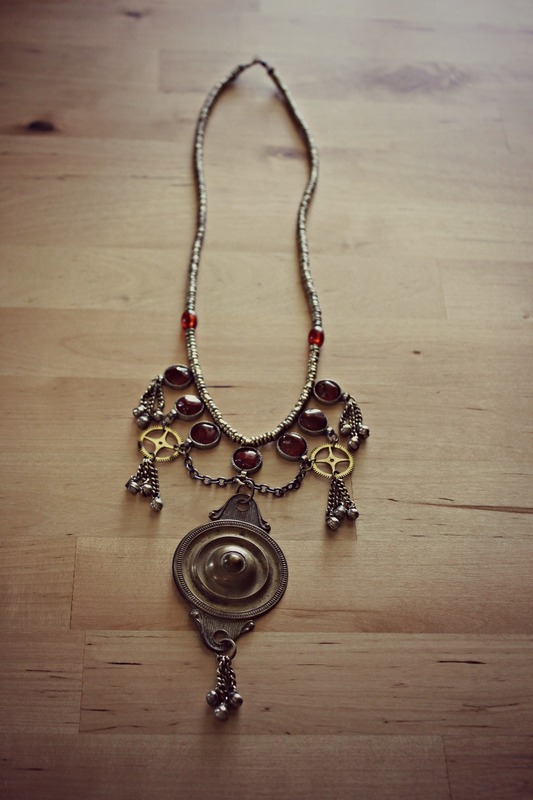 Great for a steampunk Sherlock Holmes or Watson! 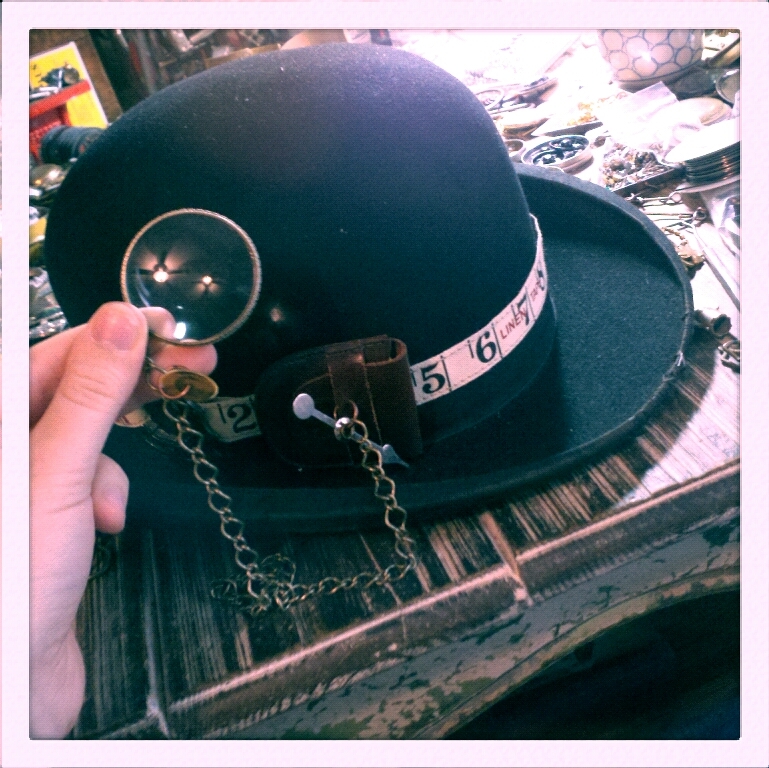 Measure the amount of ribbon you’ll need to fit snugly around the base of your bowler hat. Be sure to leave at least a 1/2 inch on each side to fold over your bike gear. Once you’ve measured the amount of ribbon you’ll need, cut it. Set aside. Pick up your leather pouch, using your scissors (or an exacto knife), cut 2 slits on the back of your pouch (about 1/4 inch from one another in the same direction–either horizontally or vertically), then thread your ribbon through the slits. Next, using your awl, poke a hole in the front of your leather pouch (so that you can affix your chain to the pouch with a jump ring). Using your flat nosed pliers, attach the chain and the magnifying glass with a jump ring. Optional, also add a game spinner and a clock gear with jump rings for further decoration. Next, thread your ribbon (with the right side facing up) through your bike gear’s holes on one side. Pin in place. Hold your bike gear in place (where you want it situated on your bowler hat and then wrap the ribbon around the base of your hat. Thread the end of the ribbon through the bike gear and pin in place. When you are pinning your ribbon, be sure that you are only pinning the ribbon together and not the ribbon to the hat. Next, slide the ribbon off of the base of your bowler hat and sew the ribbon in place. Keep your stitches small and close together. Be sure to tie a sturdy knot and hide that knot on the side of the ribbon that will go against your hat (and therefore not be seen). Cut off any excess ribbon in the back. Repeat for the other side. Slide your ribbon down onto your bowler hat in place around the base. 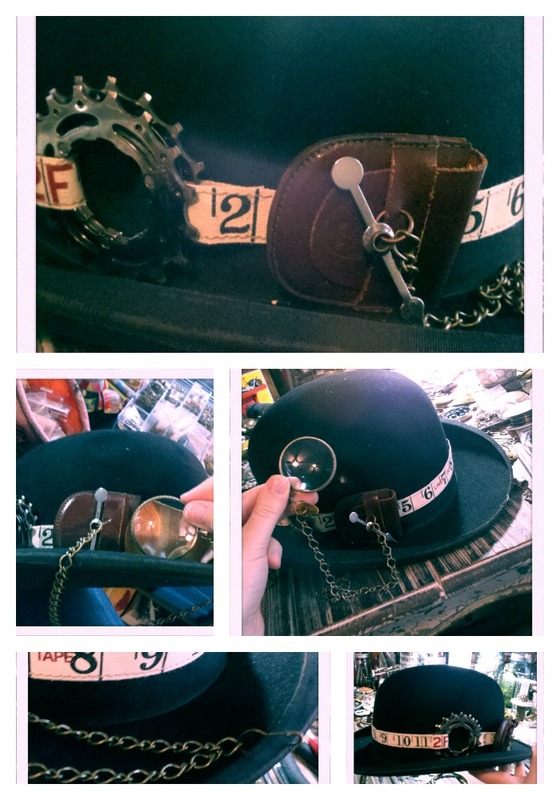 Place the magnifying glass inside the leather pouch and see how far the chain dangles off of the hat’s brim. If desired, using your safety pin, pin the chain to the opposite side of your bowler hat’s brim until you want to use the “monocle”/magnifying glass. Wear proudly! As always, happy crafting! I love Halloween! It’s a great excuse to go over-the-top and get a little campy. This year I made a cool Steampunk Candelabra that you could easily make for yourself. It’s easy to make, relatively inexpensive (if you’re making only one), and you can use either re-purposed materials or reproduction materials and the outcome is still impressively spooky! Perfect for any Halloween decor! Note on the materials: You can use actual gears & keys that your re-purpose, but for those looking for a cheaper version reproduction gears & keys are fine too. 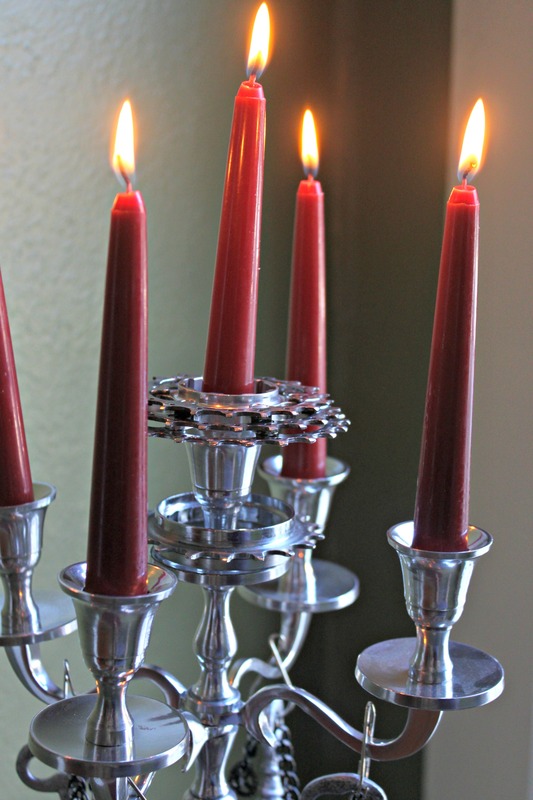 Measure the amount of chain you need by taking a piece of string and configuring it to hang in between your candelabra’s arms. Keep in mind how far down you’d like your chain to hang. Cut and then measure against a ruler. 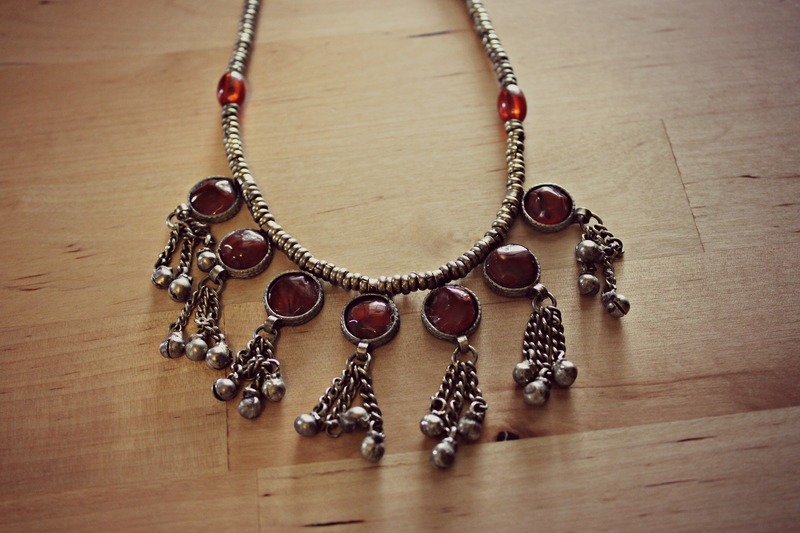 You may even want to bring the piece of string with you to the store to purchase your chain. Cut your chain pieces using your wire cutters. You want 4 total. Once you’ve cut your chain, decorate it with your gears. To fasten a gear to a chain link, use your flat nosed pliers. Open a jump ring, load the gear onto it, and then load the chain link onto the jump ring. Close your jump ring. Do the “shake test” to make sure your jump ring is firmly closed. 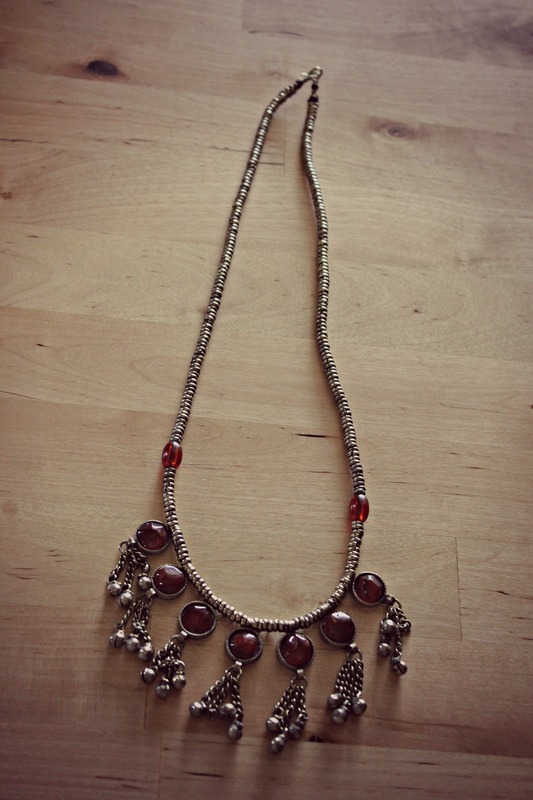 Repeat for all chain pieces. (I put 6 gears on each chain piece.) Once you are finished, set your chain links aside. 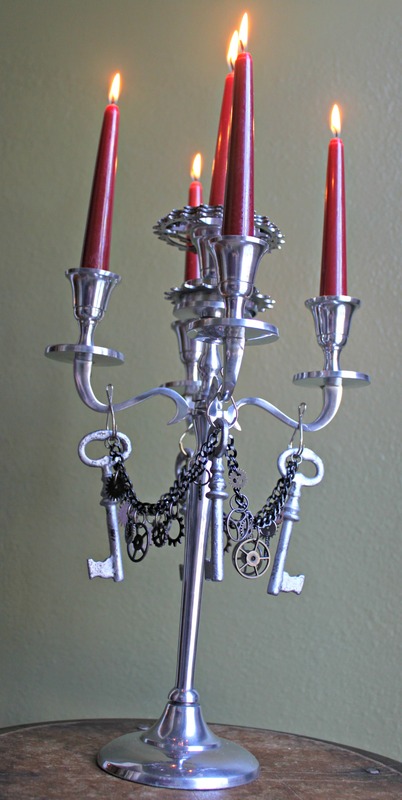 Next, attach your large swivel hooks onto your candelabra’s arms. 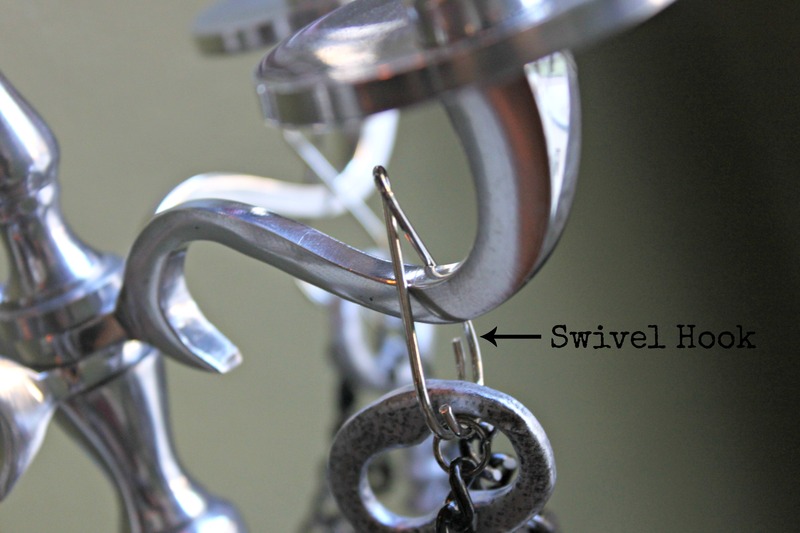 After all of your hooks are in place, load your skeleton keys onto your swivel hooks. 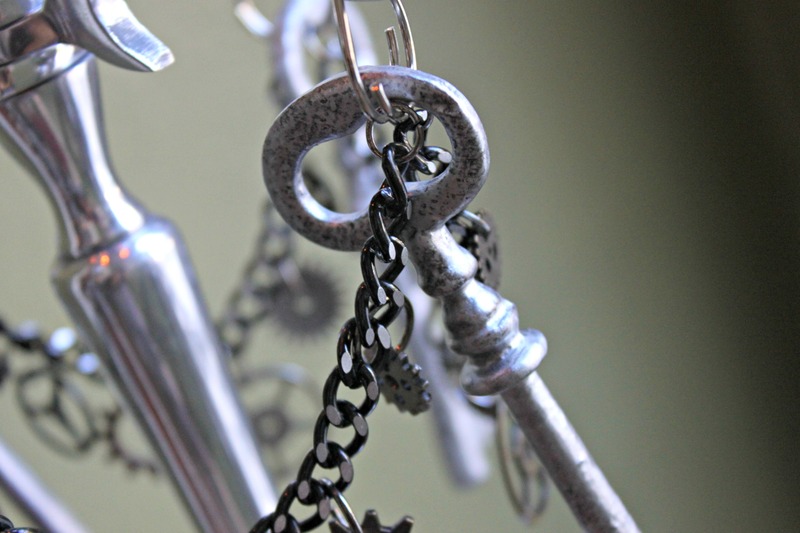 Once your keys are in place, attach your decorated chain pieces to the swivel hook with a jump ring. You are connecting your chain to one hook as well as the hook across from it. Repeat for each chain piece. 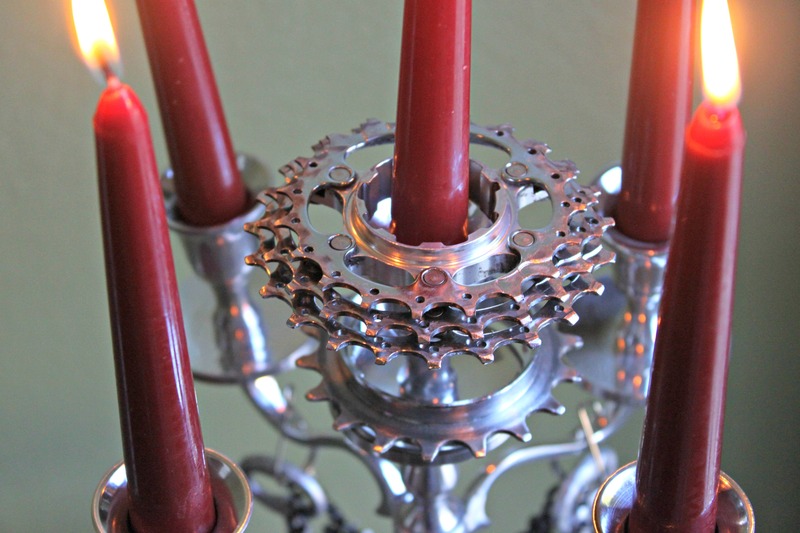 Next, place your bike gears onto your candelabra. Mine fit comfortably over the middle candelabra arm and pedestal. Place yours where you like. 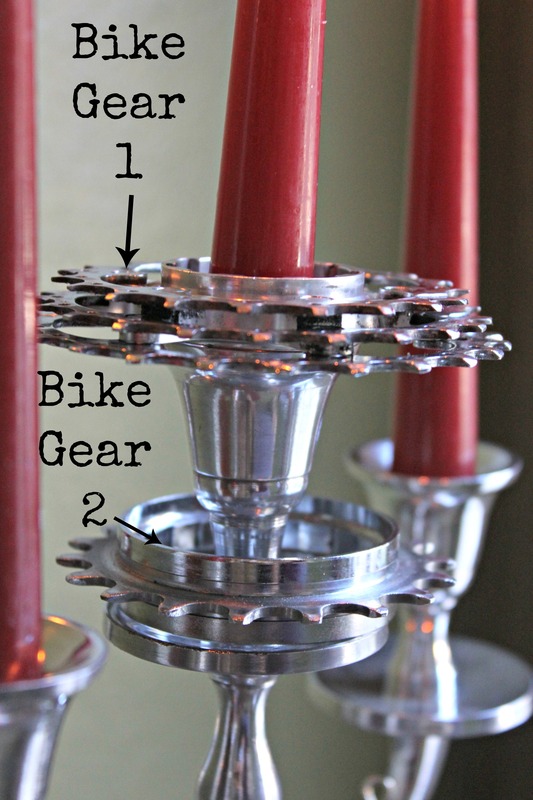 Last, affix your candlesticks in their holders. The best part about making your own costume is that you have total aesthetic control. The greatest benefit to a handmade Halloween is that you are not inhibited by a limited selection (and do not have to weigh those unappealing options–like deciding between a slutty nurse costume or a ladybug for you or your child). It seems like most costumes these days for women fall into 2 categories: hyper-sexual or infantile. This is precisely the kind of social issue that drives the Take Back Halloween project. Take Back Halloween is a blog & website that offers up ideas on how to create costumes for women & girls that are not only imaginative, fun, and yes even macabre but empowering and inspiring. Their costumes are based on real women (a smattering of scientists, queens, explorers, and entrepreneurs) and also strong female figures from world mythologies. I’ve been a fan of their blog for some time, I find its dedication to positivity and multiculturalism refreshing and I wanted to share it with those of you who are figuring out what you’d like to be this Halloween. Here are some Victorian women–who you could either emulate or steampunk (I offer a couple of steampunking suggestions for each lady)! Steampunk Suggestions: “Nowadays she’s recognized as ‘the world’s first computer programmer,'” drawing from this fact you create a cool accessory (a fan, necklace, or pair of earrings perhaps) out of an old computer circuit board or if you feel daring–a masquerade style mask made out of computer parts! Steampunk Suggestions: Carlota was famous for her jewels and in fact Take Back Halloween points out that “(They’re still famous—one of her diamonds sold at auction in 2010 for 1.7 million dollars. 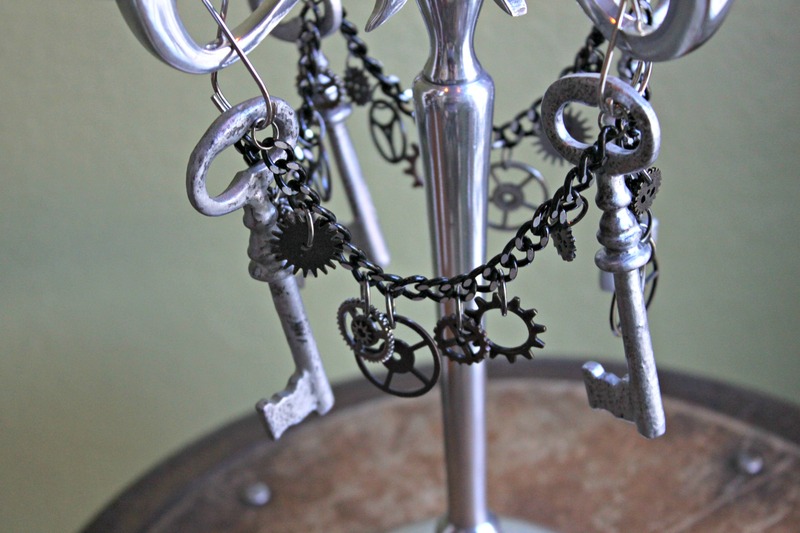 ).” Steampunking Carlota would be simple & elegant–painting gears over crystal glass beads (which you would then use to make a pair of dangly earrings) or a pearl necklace with a cog/gear pendant & pearl dangling from the bottom. 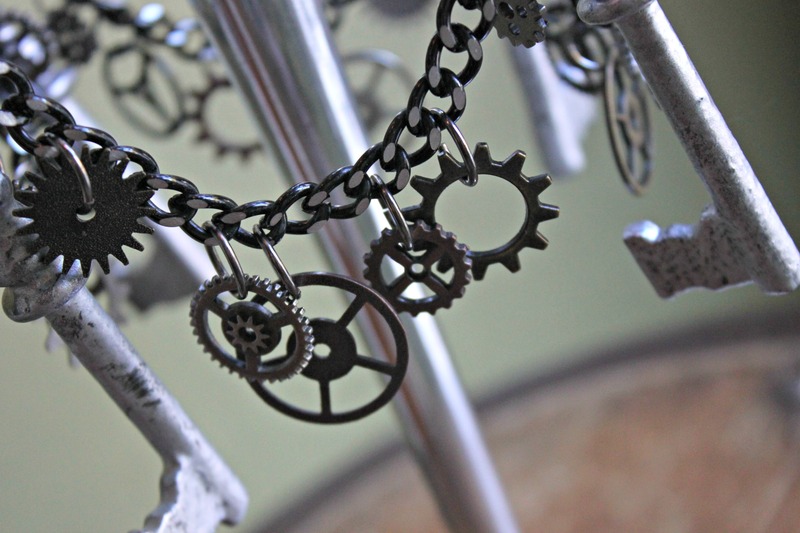 If you feel particualrly adventurous, you might even create a cog & gear crown for yourself. 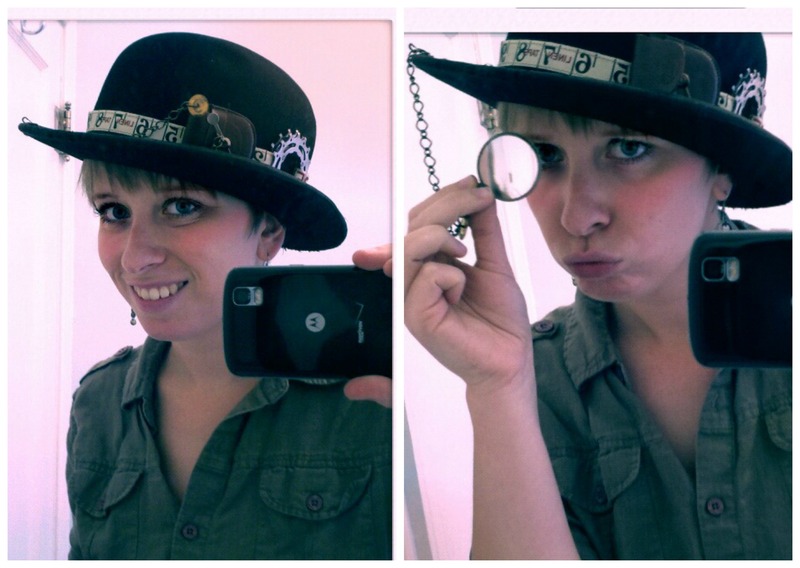 Steampunk Suggestions: Accessorizing to look like Emma Goldman is steampunk enough! It’s be easy. Pince-Nez glasses, button up boots, & her fantastic Victorian style hats. 4) Jane Austen: Needs No Introduction! Technically she’s not Victorian, but regency costumes are fun too! Steampunk Suggestions: My favorite picture of Madame C.J. is of her driving–such an empowering image of a mobile woman–a force to be reckoned with! I suggest some driving goggles, gloves, and a large opulent hat! Steampunk Suggestions: Keep it simple–wear a Votes for Women sash or bring a sign or soap box to stand on throughout the night! Steampunk Suggestions: This is another costume that is easy to steampunk–you hardly have to do anything or you could re-interpret Queen Victoria into your own steampunk narrative–how about a robot Queen Victoria? You could draw gears on your skin (particularly at your joints) with henna or face paint and make a huge wind up key out of cardboard and run 2 lengths of ribbon on each side of the cardboard pieces so that you could fasten to your back like a belt! 10) Annie Oakley:Nicknamed “Little Sure Shot,” Annie Oakley was a force to be reckoned with. She could hit any target no matter how small and was a part of Buffalo Bill’s traveling Wild West Show. Annie designed and sewed all of her own clothes for the show too! 11) Marie Curie: Who wouldn’t want to dress up as the first woman to win a Nobel Prize?! Marie Curie is a famous scientist, best known for discovering radiation/radium. A costume of Curie would also be simple, but there are certainly ways to steampunk it! Steampunk Suggestions: You could ‘punk it up with accessories like a steampunk eyeglass or monocle. Props are key–a couple of old beakers filled with glow in the dark liquids would be really cool. You could also paint your costume with glow in the dark paint for a radioactive Marie Curie. It would make the costume a bit more spooky and macabre since Curie died of radiation poisoning. 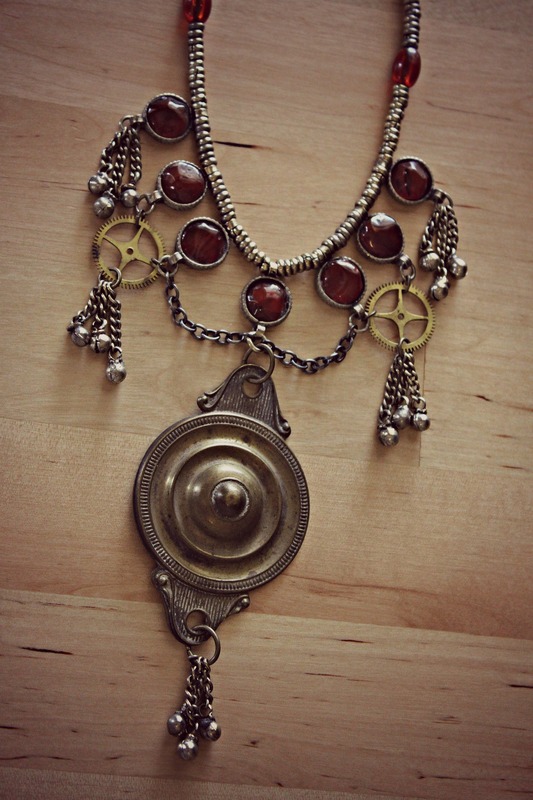 Steampunk Suggestions: Steampunk through accessories–a steampunk rhinestone necklace and sash!